Some years ago in 2012, I adopted my first, and currently my only child. I chose to adopt as a single and young parent (at 28), simply because I felt I had room in my life to give love and a home to a baby. I also felt I would make a decent parent. For the first year I did not speak about adoption openly because I did not think it was necessary, but the more I’ve interacted with people, the more I’ve felt the necessity to start talking about it with the conviction that it is good for the society to do so. I’ve chosen to initially take a look at the many social myths and beliefs about adoption that I have encountered in the last two years. In modern Africa (I say modern because traditionally children were raised by the community), adoption is seen as a last resort, an option considered when all methods of bearing a biological child fail. Because of the stigma around bareness, adoption has sadly also been stigmatized. We like to pretend that adopted babies are biological because we’re more comfortable living this lie than taking on the truth. This however is thankfully, slowly changing. In addition to this first social myth that I have quite a bit to talk about, I have encountered a couple of others in my two year journey. Let’s walk through them and come back to the first myth later. It takes a special heart to adopt a baby: Many people believe that it takes a special heart or a calling to be an adoptive parent. I do not consider this to be true. Sure, some people tend to empathize with the plight of orphans more than others, but it does not take any special calling to love and make a home for a child. If you can love and make a home for a biological child, you can also do the same for an adopted child. Adoption needs a lot of constant thought: When I shared my decision to adopt a baby with a few of my friends, most would ask me if I had given this decision some very serious thought.. I could see where they were coming from because it is a big life changing decision. One should indeed think about their reasons for adopting and should know the process before beginning, but being a parent by adoption does not require more thought than being a parent biologically. There’s no need really to have it all figured out; No need to have done all the parenting classes; No need to have save up until their college fees. All one needs is to have a loving heart and the willingness to be a parent. There will be no bond between the parents and the baby: In all honesty, this was a concern even for me. As a working mom, I’d analyzed that was going to be spending less time with the baby, compared to the nanny who’d be with her all day and I was afraid that she would bond more with the help than I, because we were not biologically related. The reality has been very different. Despite the time spent, my daughter and I have the same bond as any mom and her child could have. This one still remains a mystery to me because my help is fantastic and great with the baby, but I think she senses who her mom is. I cannot explain this. What I do know for certain though, out of my experience is that it is not true that adopted children do not form natural bonds with their parents. Bonds are built in the heart. Adoption is a difficult and frustrating process: Many people procrastinate and shy away from adoption because it is rumored to be a very difficult and frustrating process. This is true because in the past it has been difficult to adopt a baby, but now it is quite easy. My experience has been smooth. 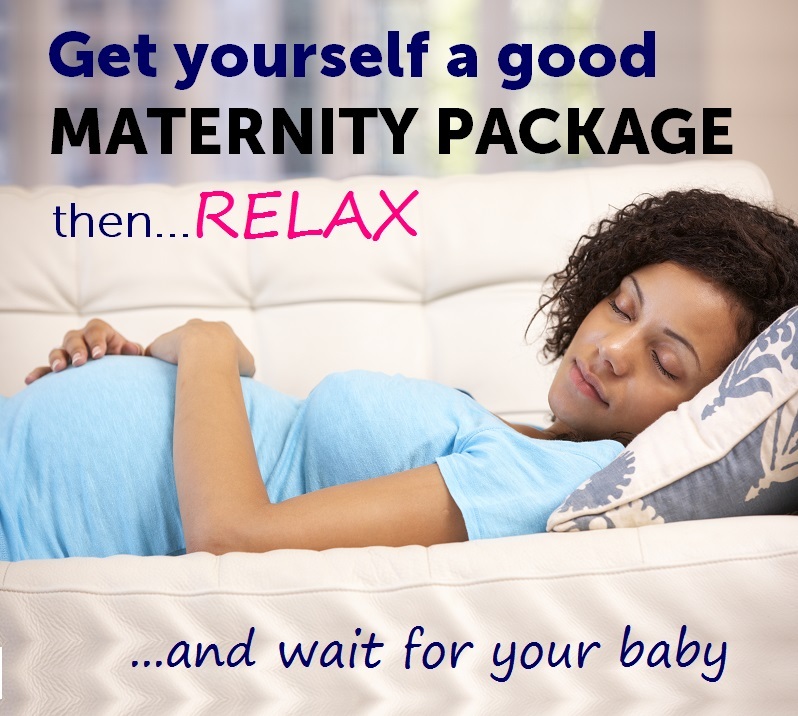 The application process was straight forward, and getting my baby was relatively easy. The court process has taken longer than I would have wished, but I have had Baby Sani at home with me so that has been not much of a bother. I have not found it difficult at all. Adopting a baby as a single person isn’t spiritually right: I address this one from a Christian perspective because this is the religion I am most familiar with. Many Christians believe that it is not right for a single person to adopt because God has ordained that children grow up in a family that is made up of a mother and a father. This is true and ideally all children would be brought up in such families, but we are not living in an ideal world. We have children out of family situations who need love and care. The Bible has examples where single people raised children and it was right. In the book of Exodus we have Moses who was adopted and raised in Pharaoh’s family and grew up to be a great leader of the Israelites. In the book of Esther, we meet Queen Esther who was raised by her MALE cousin after her parents died. The basis of Christianity is adoption. Christians believe that they are adopted into God’s family. So surely how can it be spiritually wrong to choose to adopt and love a child? What other social myths and beliefs come up when you think about or discuss adoption? Please share and let’s discuss them.